Fangirls, awhile back, when I visited Vermont, we went into a rather small bookshop. I have a difficult time not buying books when I’m surrounded by them, so I found one that was rather small, and nabbed it to travel with. Most of my bus ride was filled with naps and snacks, so reading took a bit of a back seat. But a couple weeks ago I took time out from stressing to finish up Worn Stories, and became incredibly grateful that I got it. 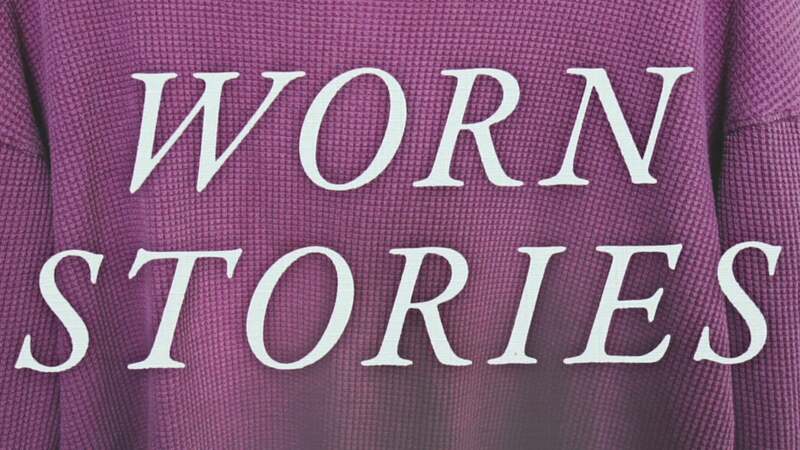 Worn Stories is a collection of sartorial memoirs about clothes. 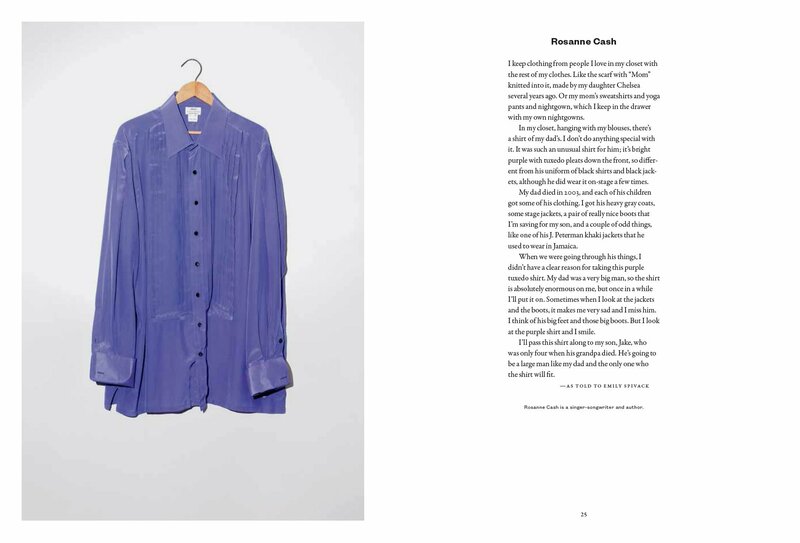 Each story is next to a photograph of a piece of clothing that is either important to the person, or has a unique origin. It seemed like it would be great for a laugh, but after reading it, I found it was incredible personal, and I felt like I had a closer glimpse on many of these people’s lives. To be honest, I didn’t really recognize most of the people who shared their stories. One that I did was Piper Kerman. Kerman wrote a book about the year she spent in women’s prisons, which was then used as the basis for the Netflix original series Orange is The New Black. The garment that she shared was the outfit she wore when she was sentenced to prison; a thrifted skirt suit. Each of these stories is so unique and interesting, and truly gives attachment to the “walk a mile in someone’s shoes” idea. Reading about how these pieces of clothing came into the authors’ lives is very personal; clothing is something that I really associate with because first impressions are made by what you look like. I like my clothing to show who I am and my interests, but I also enjoy comfort. Reading that others feel similarly is not only reassuring, but also helped me realize that other people feel connections with their clothing as well. One person wrote that she believed that she would find a uniform for herself; something she wore variations of daily that oozed her essence. I believe my current uniform is high waisted shorts with baggy tops, and having that connection with someone else, is so reassuring. This book was phenomenal for being picked up and put down whenever. Though I read the stories together, they would be alright to read separate from each other; as something you could read just when you had the time. It was unique, fun, and touching, and I highly recommend it. All images and characters depicted are copyrighted their respective owners.